Finally, a clean race. 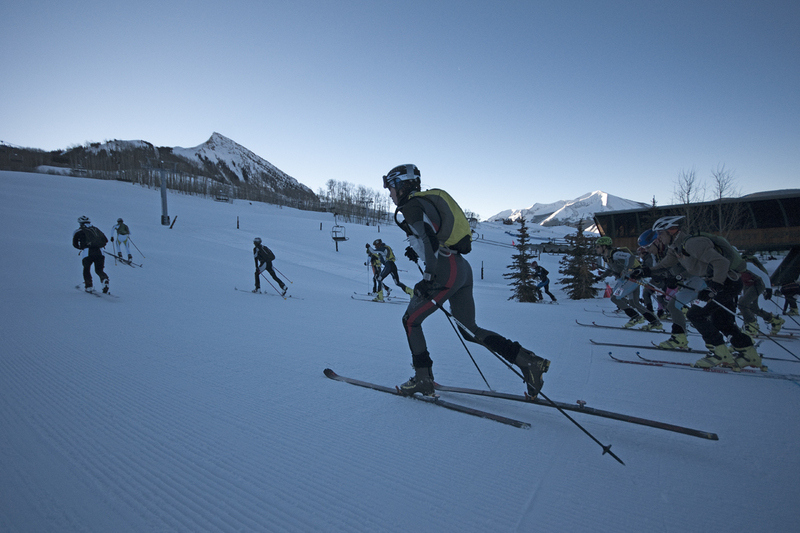 The third race in the COSMIC series was the Camp Ski Mountaineering Race at Crested Butte yesterday. Under perfect blue skies, we started the race at 8am with a Le Mans start. Jan Koles got the hole shot and set the fast pace for the lower part of the first climb. Janelle Smiley came past me early on and pushed me at a pace I wasn’t sure I could hold much longer. Once into the technical ascent, I was able to move in front of Janelle and open up a small lead. Brian Edmiston, Michael Schilling, Mark Smiley and I continued down the Head Wall, up a short climb, down the North Face and up through Teocalli Bowl where we picked up Brian Riepe. The final climb finished with a boot pack up the Peel and then a long descent down to the finish. I finished without having any skin issues and descending very well thanks to my La Sportiva Stratos boots. Thanks to Lindsay Hyman at Carmichael Training Systems, I felt fresh afterward and enjoyed some great skiing on the resort. Lindsay has coached me since May and I’ve learned a lot about training and refueling. Making sure I intake enough water and Honey Stinger gels has not only allowed me to finish strong but more importantly to feel great after the races. Check out photos from Kevin Krill of Crested Butte Photography.